With a Master of Science in Nursing degree, there are many different nursing career options. Some of the highest paid careers are actually in the healthcare field, and specifically, nursing. For nearly any of the highest paid nursing jobs, you will need to have a minimum of a MSN degree, and possibly some specific certification or licensure. Below are the top 10 highest paying nursing jobs for those with a MSN degree. Average Salary – $157,140 per year (BLS; 2015). As the top position on this list, the nurse anesthetist is one of the most prestigious Masters level nursing careers attainable at this time. In order to become a nurse in this specialty, you must complete an undergraduate degree in nursing, pass the NCLEX examination, obtain licensure, and gain experience working in the nursing field (preferably critical care). After this is completed, you must successful pass a Masters program in nursing anesthesia and the board examination for this path. The primary responsibility of nurses in this specialty is to administer anesthesia to patients that are undergoing important surgeries. During the surgical process, nurse anesthetists may also monitor the patient to ensure that anesthesia is sufficient for the whole time and the patient is responding well to the medication. If you pursue certification in this field, you should prepare yourself for a highly active work environment, long hours, and great responsibility. The importance of accurate and effective nurse anesthetists in the medical field goes beyond the standard responsibilities of the general registered nurse. Average Salary – $109,030 per year (BLS; 2015). Nurse practitioners have grown to be a very important part of general healthcare for the public. In order to be a part of this area of nursing expertise, you should first complete a Bachelors degree in Nursing from an accredited university. Passing the NCLEX is required for all nursing careers as well as licensure, so this is the next step in this path. Some universities offering Masters in NP require that nurses have some experience working in a hospital or clinical setting. If you have already completed this step, then you should move forward into an appropriate Masters degree program. Completion of the Masters program moves you forward to board examination and future licensure. Nurse practitioners may work in hospitals or clinics, providing direct care to patients of all backgrounds. If you work in this field, you may diagnose and treat patients that are sick or have received an injury. Nurse practitioners do have the ability to perform complex tests on patients as well as prescribe medication when needed by patients. Average Salary – $107,160 per year (BLS; 2015). Family nurse practitioners have the same educational requirements as most other nurse practitioners. First, an undergraduate degree in nursing and the NCLEX must be completed. Second, licensure and experience working in hospitals or family care clinics is recommended by certain graduate degree programs. Last, finishing a Masters program and pursuing examination and licensure is required prior to being permitted to work with the public. Different universities have different requirements, so it is recommended that those interested in this field research university requirements prior to enrolling. Working as a family nurse practitioner allows professionals to have a regular set of patients that may be seen throughout their lifetime. If you work in this field, you may find yourself familiar with large families, providing care and support to them throughout their development. Most family NPs work in clinics or private offices, but they are not uncommonly found in hospitals or larger medical facilities. The work environment for professionals in this field is generally more relaxed, since most visits are well-family oriented or scheduled. Average Salary – $106,160 per year (BLS; 2015). Mental health nurse practitioners achieve certification through Masters level programs that blend together the various aspects of nursing and psychology. Most MSN-psychology or psychiatry programs require that applicants already hold licensure as registered nurses prior to entry. After graduation, graduates are required to complete a state board examination in order to be considered for licensure. Once this process has been completed, mental health nurses are free to find work in this highly diverse field. As a nursing professional in the mental health field, you may find yourself working to diagnose and treat people that suffer from mental illness. This area requires you to have a fond expertise of the psychological principles of health, as well as the treatment methods and pharmaceuticals involved in treating people that have been diagnosed with different mental ailments. The work environment can prove to be trying at time, with mental illness sometimes causing different behaviors in individuals depending on their diagnosis. The nursing field has grown increasingly important to psychiatric fields over the last decade, so this is a great place to consider for a lifelong career. Average Salary – $94,500 per year (BLS; 2015). The educational requirements for this position can vary depending on the location of the clinic or medical facility and the state requirements in the state the facility lies. If you are interested in pursuing a career as a director of nursing or head nurse, you should be registered as a nurse and pursue a Masters degree in Nursing prior to applying. Most positions at this level require am ample amount of work experience, due to the heavy responsibilities that follow after taking the job. Directors of nursing are most commonly found overseeing a large staff of nurses in a medical facility. They may be responsible for setting schedules, dealing with conflict, and management of finances and supplies in their particular department. As a head nurse or lead nurse, you could be reporting to an executive member of hospital staff, so it is important that you have great organization skills as well as communication skills. In the event that there is a heavy inflow of patients, the director of nursing is responsible for maintaining order and efficiency, so that patients are given the best care available. If you have a great work ethic and strong leadership skills, this is definitely a career to consider. Average Salary – $92,510 per year (BLS; 2015). Midwifery is a field that is growing quickly in popularity. If you want to be an active part of this field, you should start by obtaining your BSN and becoming licensed to work as a nurse. After getting some experience, preferably working with pregnant mothers and newborns, you can apply to a Masters program that specializes in nursing midwifery to pursue licensure as a midwife in the future. A board examination is required after graduation, which tests you on your abilities and knowledge of the field of midwifery. Midwifery deals with care for women of childbearing age before and after childbirth. There are a broad range of skills needed to be a great professional in this field, due to the tense environment that can sometimes arise and the delicacy of the childbirth process altogether. Nursing midwives may find that they are the leader during the birthing process and may also be responsible for overseeing care of the mother and new child once it is complete. This is definitely a rewarding career field that can be joined at the Masters degree level. Average Salary – $91,620 per year (BLS; 2015). Nursing informatics equally blends nursing knowledge with computer information technology. Professionals in this field should have undergraduate education and nursing, be licensed as a registered nurse, and have a Masters degree in Nursing Informatics. Computers have become a very important of the medical field and the facilities that treat large numbers of patients each day. Gaining the knowledge to assist with both facets can potentially make you a vital asset to organizations that deal with both on a daily basis. The skills learned through educational programs provide nurses with what is needed to properly provide systems support to healthcare facilities and hospitals across the country. If you work in this field, it is likely that you spend a lot of time working to improve information systems for healthcare facilities or hospitals. The implementation of helpful information systems can assist with providing safer storage of personal information for clients and a more organized interface for other professionals in the healthcare field that use the systems on a daily basis. This is a rewarding career that plays a large role in how effectively hospitals and clinics manage a large intake of patients on a daily basis. Average Salary – $82,240 per year (BLS; 2015). This field requires that nurses hold at minimum a Masters degree in Nursing. This is achieved after completing undergraduate nursing degrees and becoming licensed as a registered nurse. The graduate program for this specialty involves an in depth look into research as it pertains to healthcare related experiments and trials. After completing this program, you should be prepared to be a helping hand in various studies that seek to improve healthcare from many different standpoints. Nursing research specialists work hands on with other research scientists during patient trials, pharmaceutical trials, and studies involving new methods or tools used in healthcare. Their insight into the proper care of patients provides an excellent resource throughout the process, which contributes to how well research applies to the general public. If you work in this field, you may also help with the organization and screening of trial participants, ensuring that their health is appropriate for what the trial requires. Proper research requirements such as informed consent, information sessions, and follow-ups are also sometimes conducted by nursing research scientists. Average Salary – $75,030 per year (BLS; 2015). In order to continue the circle of professional nurses, nursing instructors are needed to formally educate students on the different nursing methods and ethics that go alongside great nursing practice. Most job openings for nursing educators require that applicants hold at minimum a Masters degree in Nursing and have years of experience working in the field. The blend of education and experience makes for better instructors, since the work environment can be diverse in the nursing field – making it more important to have knowledge of it. As a nursing instructor, you may find yourself teaching many different people each day. Through standardized coursework and discussions, you may be expected to establish an organized lesson plan that touches on the most important topics in nursing. Students that you teach are seeking the same degree that you have, so it is vital to inform them of the processes and sometimes complicated situations that can arise during a normal work day. 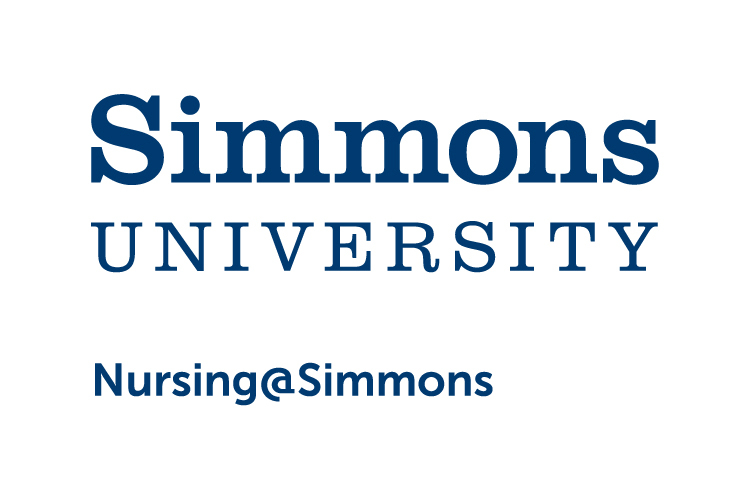 This career path is extremely rewarding and allows current nursing professionals to make an impact on the future of nursing through upcoming professionals. Average Salary – $74,270 per year (BLS; 2015). In order to become a surgical nurse practitioner, registered nurses must enroll in and complete a Masters program in nursing, with focus on surgical sciences. These programs are designed to give NPs the knowledge required to effectively be a part of complex surgical teams that work hard to ensure patient health and recover from start to finish. Since this career field is highly specialized, it is likely that there may be special hands on training conducted during the educational process. This training tests student’s ability to work under pressure and under certain time constraints. If you are interested in becoming a surgical nurse practitioner, you should prepare yourself for a highly unpredictable work environment. You may be responsible for working in the trauma wing of busy hospitals, critical care units, or in general surgery. The atmosphere of each department differs greatly from the others and requires special attention to detail throughout. The primary concern of the surgical nurse practitioner is the preparation of patients for surgery and the immediate aftercare. When working in this field, you may also be responsible for assisting surgeons, depending on their requests, during the actual surgical procedure. The job duties may vary greatly depending on the facility, which is why a wide range of skills in required in this field.